Join us as we welcome Spring with our Annual Spring Festival in April 20-21, 2019. These two day events will host some of East Coast's most talented males and females athletes. Sport activities range from soccer, volleyball, badminton, Spinning Tops, Flag Football, and many many more! 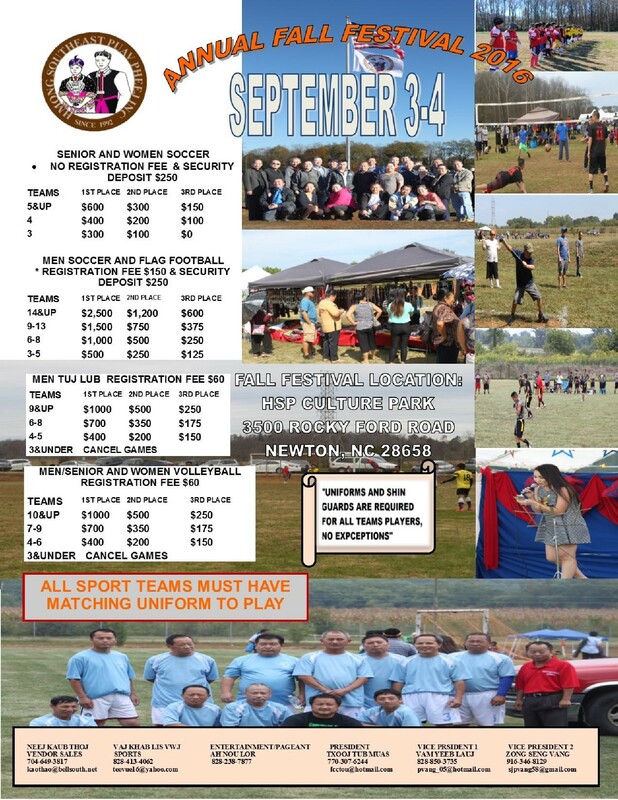 All athletes are urged to participate at this event. 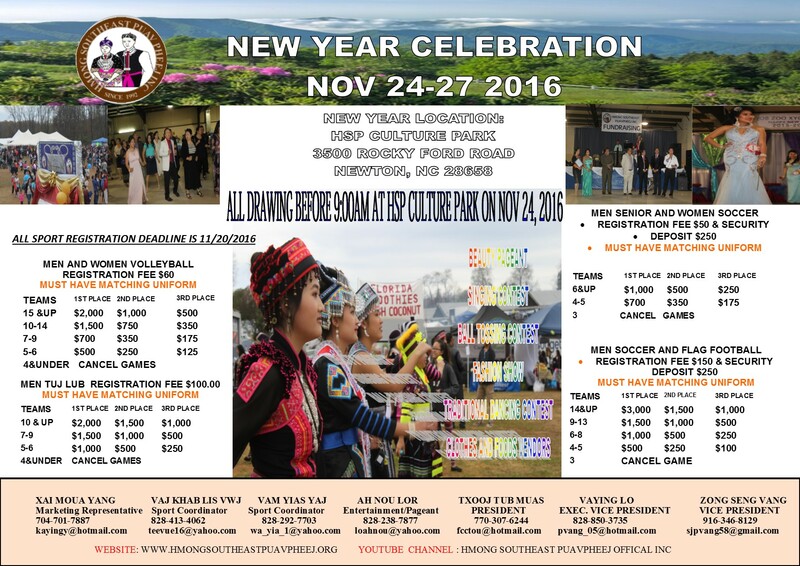 There will be lots of people all over the United States Coming to join our Spring Festival. Full contact sports please check out our flyer for information. A day of fun for the entire family, bring your children! 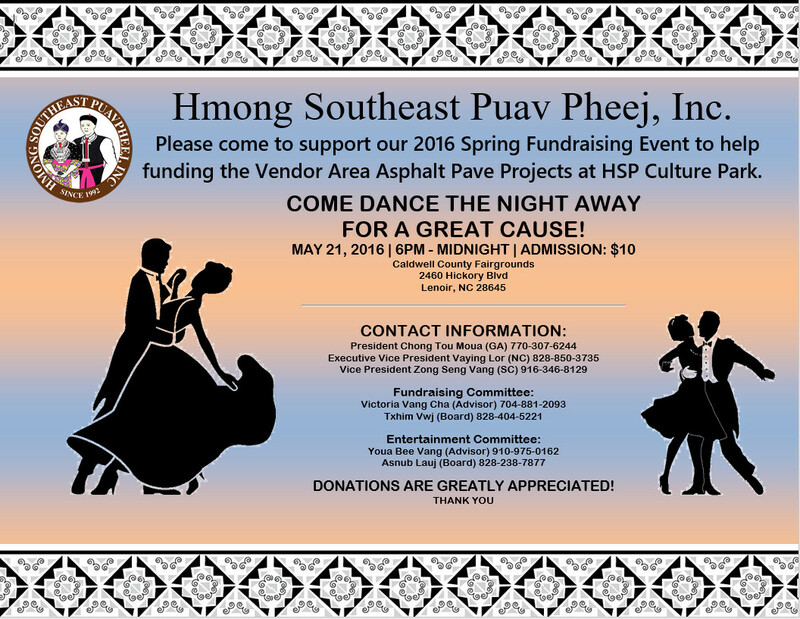 Treats will be provided by Hmong Southeast Puavpheej. Time is flying by so quickly. It is time for the new year celebration again. Please come join us to have another great fun as we let go the year of 2018 and receiving the year of 2019. We will host many veriety of sports and other entertainments. We will have costume shows, dances, ball tossing, poetry singing, etc at the New Year Culture Park. Please check out our flyer for ALL sports activities. We will NOT have 2018-2019 HSP Miss Pageant contest at Lenoir Fairground on November 23th and 24th, instead we are going to host a FUNDRAISING EVENT on the night of November 24th at Lenoir Fairground 4pm to Midnight. Please come and support our Fundrasing programs. Our admission tickets will be available soon. We are looking forward to meet all of you at the New Year Celebration and at the Fundrasing Event. 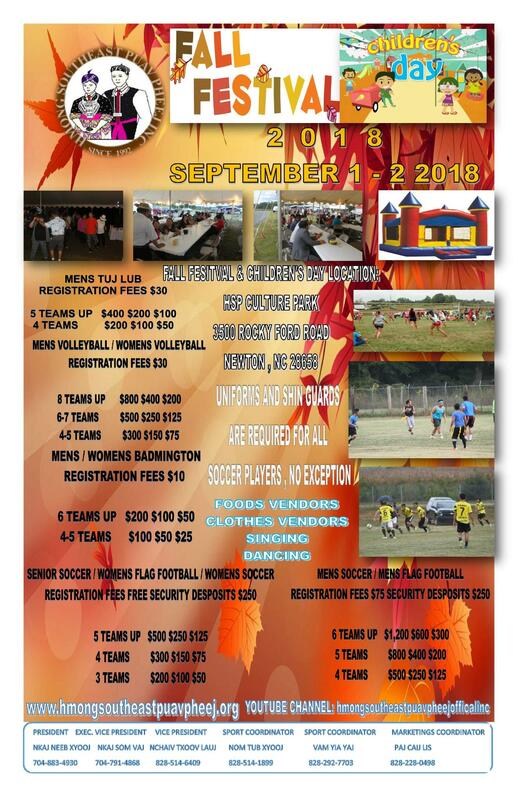 Join us as we welcome HSP Annual Labor Day Festival in September 1st & 2nd, 2018. These two day events will host some of East Coast's most talented males and females athletes. Sport activities range from soccer, volleyball, badminton, Spinning Tops, Flag Football, and many many more! 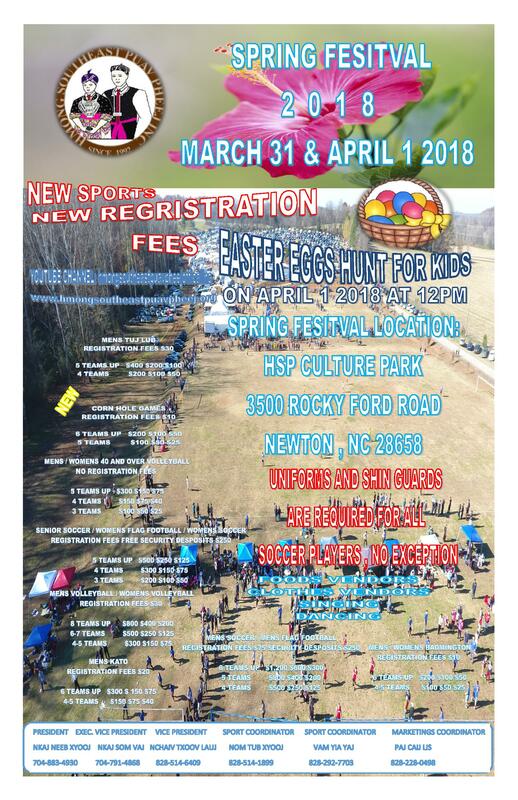 Join us as we welcome Spring with our Annual Spring Festival in March 31st and April 1st, 2018. These two day events will host some of East Coast's most talented males and females athletes. Sport activities range from soccer, volleyball, badminton, Spinning Tops, Flag Football, and many many more! Time is flying by so quickly. It is time for the new year celebration again. Please come join us to have another great fun as we let go the year of 2017 and receiving the year of 2018. We will host many veriety of sports and other entertainments. We will have costume shows, dances, ball tossing, poetry singing, etc. Please check out our flyer for sports activities. We will have 2017-2018 HSP Miss Pageant contest at Lenoir Fairground on November 24th and 25th. Our admission tickets will be available soon. 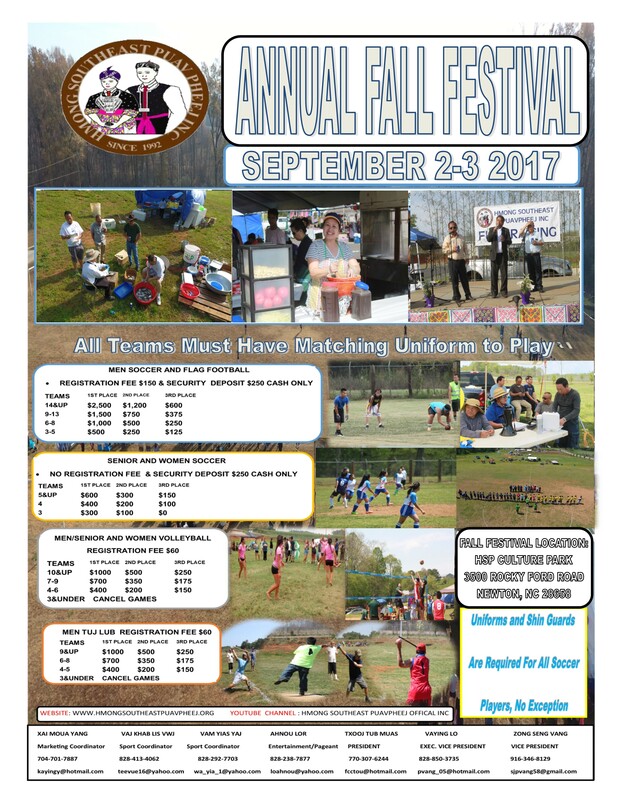 Join us as we welcome HSP Annual Labor Day Festival in September 2nd & 3rd, 2017. These two day events will host some of East Coast's most talented males and females athletes. Sport activities range from soccer, volleyball, badminton, Spinning Tops, Flag Football, and many many more! Join us as we welcome Spring with our Annual Spring Festival in April 15-16, 2017. These two day events will host some of East Coast's most talented males and females athletes. Sport activities range from soccer, volleyball, badminton, Spinning Tops, Flag Football, and many many more! Time is flying by so quickly. It is time for the new year celebration again. Please come join us to have another great fun as we let go the year of 2016 and receiving the year of 2017. We will host many veriety of sports and other entertainments. We will have costume shows, dances, ball tossing, poetry singing, etc. Please check out our flyer for sports activities. We will have 2016-2017 HSP Miss Pageant contest at Lenoir Fairground on November 25th and 26th. Our admission tickets will be available soon. Join us as we welcome our Annual Labor Day Festival 2016 come around again. These two days event will host some of East Coast's most talented males and females athletes. Sport activities range from soccer, volleyball, badminton, Spinning Tops, and many many more! 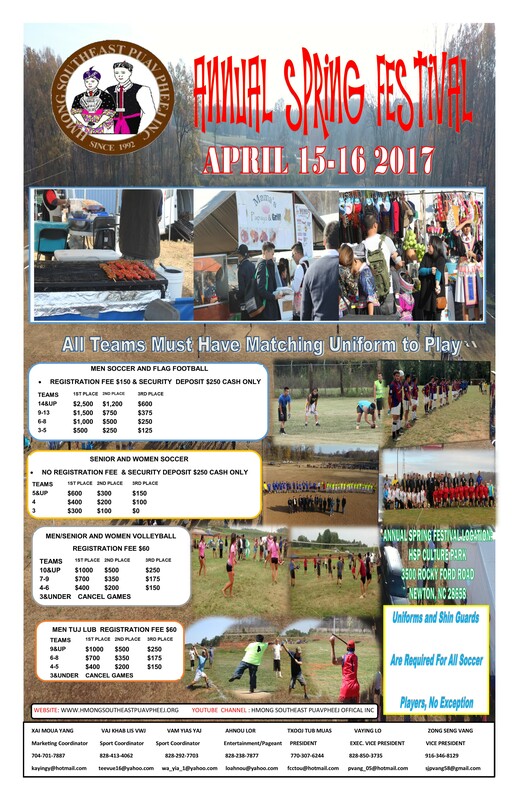 All athletes are urged to participate at this event. There will be lots of people all over the United States Coming to join our Labor Day Festival. Full contact sports please check out our flyer for information. HSP is going to have a clean up day at the Culture Park in April 24th, 2016. 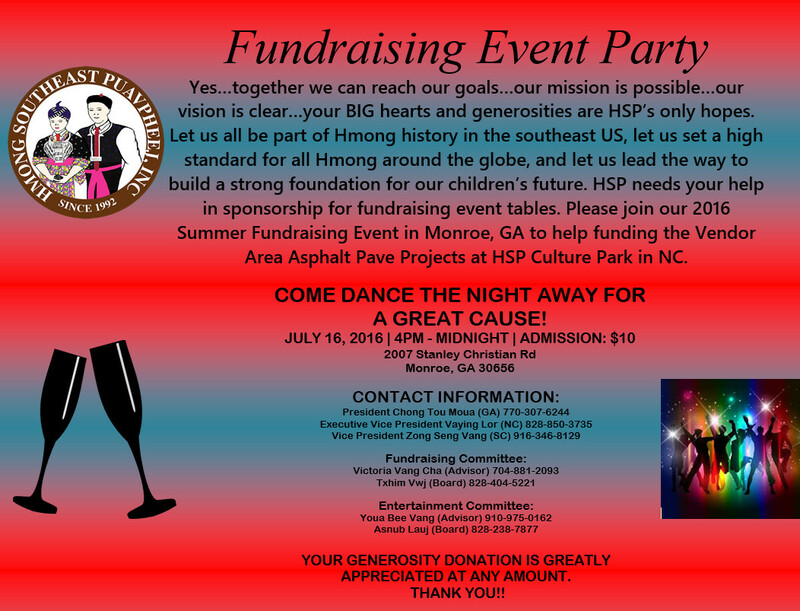 HSP is urging to all staffs and everyone who have the heart to help the Hmong people to come out there and help. The gate will open a 8:00am. 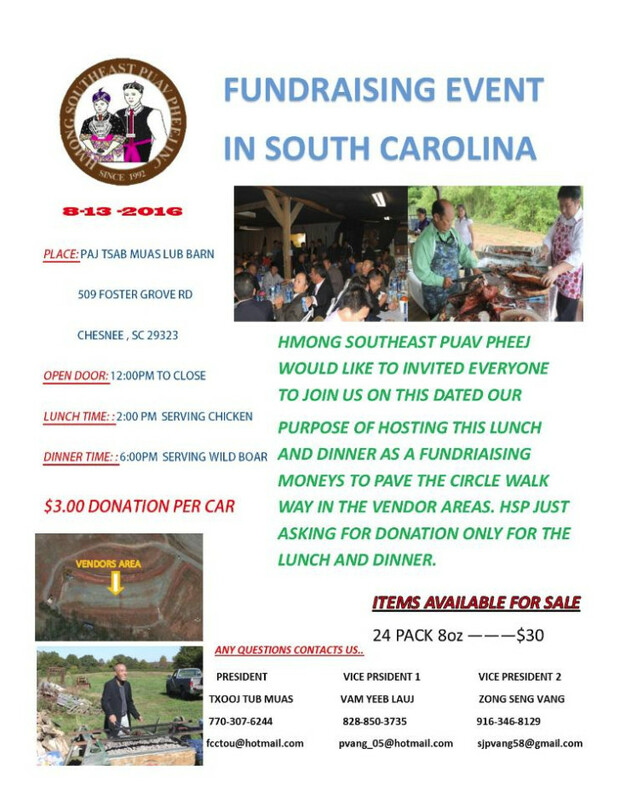 Anyone who is interested and need more information, please contact HSP President Chong Tou Moua at 770-307-6244. 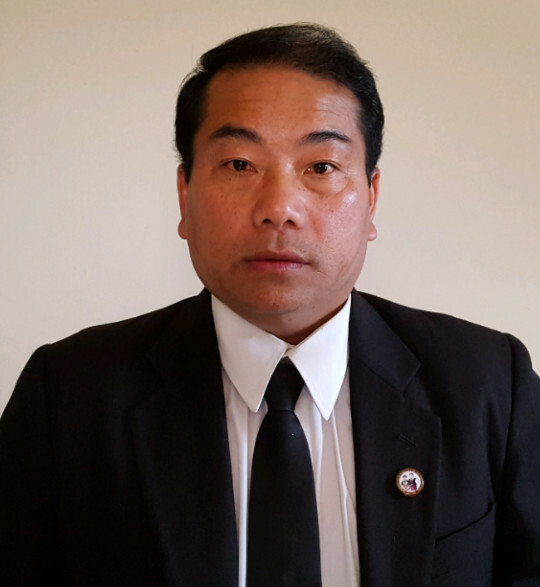 Welcome to the official website of Hmong Southeast Puav Pheej (HSP). 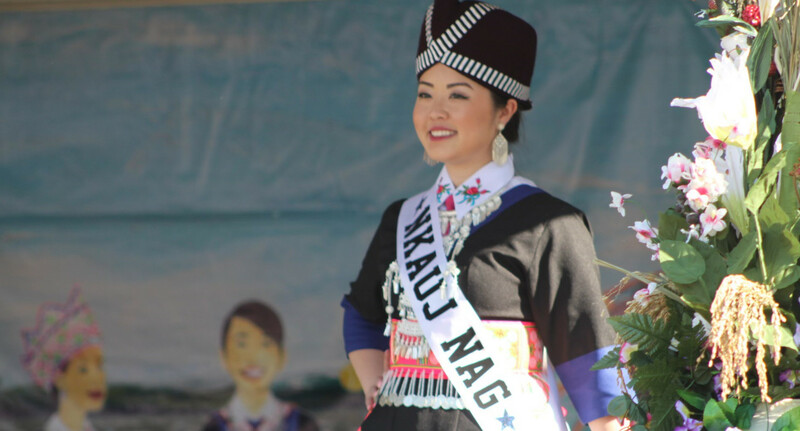 We are a non-profit, nonpartisan organization whose mission is to preserve the rich cultures and heritage of the Hmong people. 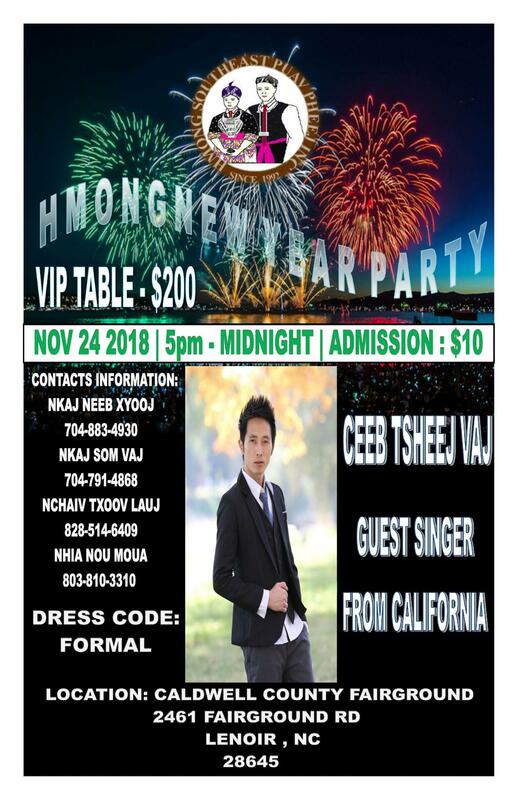 I hope to see all of you at this year's 2018-2019 Hmong New Year celebration.